Founded by Dana Lyons, Finish Strong Coaching is one of the premier coaching services for endurance athletes. Training programs are tailored to each individual to ensure optimum performance and proper balance. Dana takes great satisfaction in helping athletes train smart, achieve their goals and stay healthy. Dana is one of the area’s elite coaches who has achieved the distinction of USAT Level II certification. Dana has been a multisport athlete for over 30 years and has several USAT National and Regional Age Group titles. He is a 17-time USAT All American and was the USAT Master Duathlete of the Year in 2001. He was the top ranked male triathlete and male masters duathlete in the USAT South Midwest Region in 2007. In 2008 he placed 2nd in his age group at Ironman Arizona and qualified for the Ironman World Championship race in Kona on October 11, 2008. He is also a USAT Level II & RRCA Certified Coach. Dana works with triathletes, duathletes, cyclists and runners of all abilities who have the desire to work to achieve their goals while balancing other life commitments. 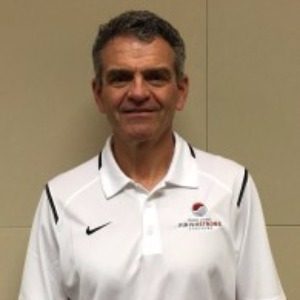 He utilizes sports science, experience and an unmatched enthusiasm to provide each athlete with the tools they need to improve their performance, reach their potential and fulfill their goals. His training programs are tailored to each individual to ensure optimum performance and proper balance. Finish Strong Coaching offers 4 coached swim workouts and 2 coached run workouts per week plus group rides and runs on the weekends in addition to several clinics and seminars throughout the year. Success. Coach Dana Lyons has been notified of your message.